Back by popular demand, ABK’s third annual Christmas Cookie Extravaganza! I know, you’re excited. For the next several days, I’ll share some amazing new cookie recipes for you to try this holiday season. First up: Every Christmas cookie tray needs a ginger cookie. 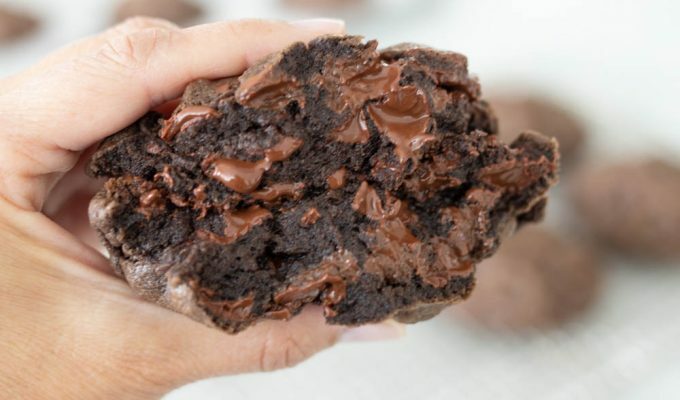 You’ll love this cookie. I made about 4 batches in November. They freeze well, so you can start baking today and store them in the freezer to take out later in the month. That or buying the next size up in pants. In a large mixing bowl, beat butter and sugar. Add eggs and molasses, mix until smooth. Add flour, soda, salt, ginger and cinnamon. Mix just until wet and dry ingredients are incorporated. Refrigerate dough for about 1 hour or until chilled. Form dough into balls ( I used a 1-inch cookie scoop) and roll each ball of dough in granulated sugar. Bake on ungreased baking sheet for 6-8 minutes or until set. Do not over bake. Cookies will be puffy when removed from oven, but will flatten as they cool. Tops will look cracked. -You may make the dough and store in refrigerator up to one week until ready to bake.-You may use powdered sugar if you like the cookie to have more of a white appearance on top.-When freezing, lay flat on a jelly roll pan or large plastic container. Place cookies in single layers in pan, separate with wax or parchment paper. So weird the way this message was spaced out! Oh….looks so good! Can't wait to try them! 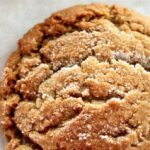 I've been looking for a great gingersnap recipe. I'm trying these this week! Thanks! I'm glad you loved the cookies. <3 you. we made your s'more cookies again last night, and my 7 year old daughter pops out, "that bountiful kitchen lady is a wicked good cook:)" can't wait to try these! Yummy, can't wait to try these ones, Si! Thanks Sue, ginger cookies are hard to resist! I'm not a fan of the ginger snap cookies but I made these for my husband and he said they are the best he's ever tasted! He loves, loves, loves them!! Thanks for making his FHE treat on Monday night the best ever! I'm glad your hubs loved them. Hope you had a wonderful holiday season! Love this recipe!! They were a huge hit. Hi there – should I be purchasing salted or unsalted butter for this recipe? Thanks in advance! I always use unsalted butter! Can you freeze the dough prior to baking? Yes, Lee, you can freeze the dough. Just make sure it’s sealed securely. Thanks for asking and for reading ABK!